Notes: Loopwings on emergers have been around for some time. Swisher and Richards demonstrated this technique using Hen Back fibers, Craig Mathews used Antron fibers, and Oliver Edwards demonstrated loopwings using CDC feathers. The loopwing represents the emerging wings and, due to the open interior of the wing, the loop traps air that aids in its floation. This bubble gives off some additional sparkle to the pattern. 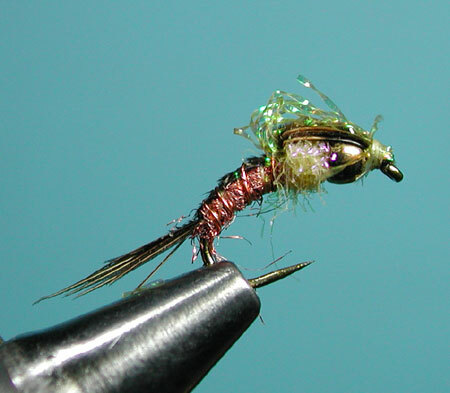 This fly was originated by Adam Trina, founder of Montana Fly Company and former Missoula, MT-based guide. 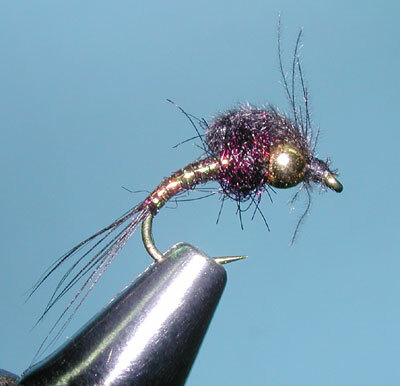 Much of the pattern is based upon the Pheasant Tail Nymph. Adam used Krystalflash to create a loopwing to represent the splitting wing case of an emerging insect. He termed this pattern as a "Bubbleback" and the pattern has become quite successful throughout the Western States, including the Sierra. 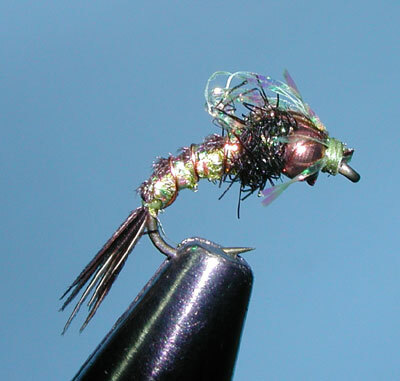 Trina's Bubbleback Emerger is a highly effective nymph that makes an excellent dropper off a dry fly, or as a trailer behind a heavier nymph. In either case, it is better fished in the middle of the water column as opposed to hovering off the bottom. 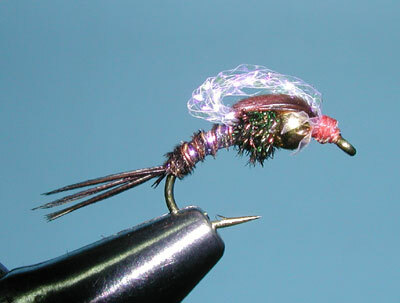 The little bit of flash on top of the bubble tie adds additional allure to this fly in the water. 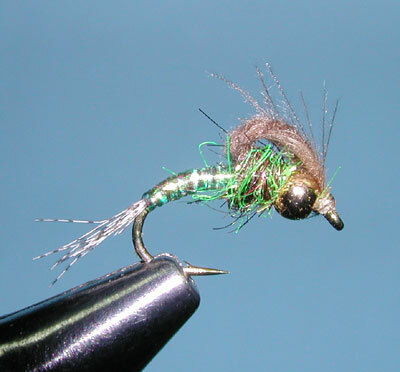 Joel Silverman, a contract tier for Montana Fly Company and fishing guide out of Montana, substituted CDC for the Krystalflash and eliminated the Pheasant Tail wing case. The CDC provides movement and will also trap air bubbles within it's loop.